Rain didn’t deter more than 100 people from attending the Eden Park Clarington VIP sales launch on Saturday, October 28th. Early registrants had the opportunity to purchase the lot and home of their choice at the lowest possible price prior to the official public launch. Marc Andre Bovet, the founder of BONE Structure, was on hand to explain how the steel construction system works. He outlined how the company was founded and how it has evolved over the past 12 years. Buyers were impressed by the flexibility the home designs offer — with BONE Structure it’s easy to add a room, change the dimensions, tack on a floor, or change the location of windows. The company is leading the way toward high-performance, energy efficient homes, and is the best choice for eco-conscious buyers trying to achieve net zero. 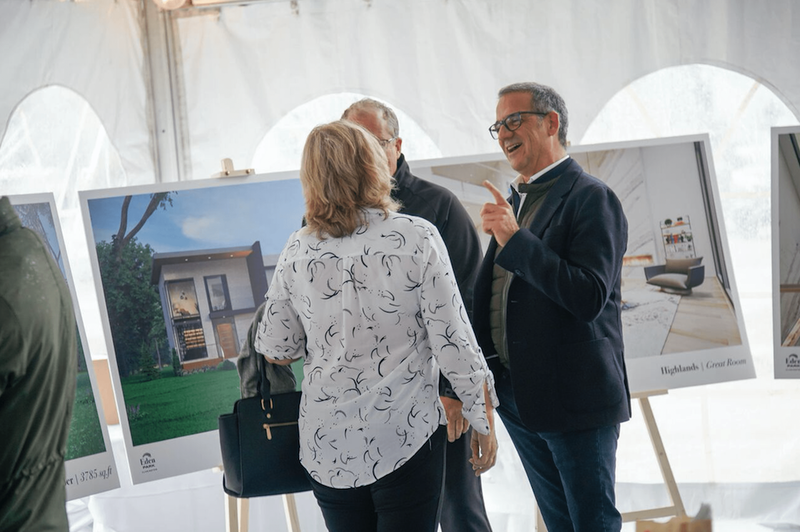 Eden Park is being developed by Fourteen Estates, a family-owned enterprise that has been constructing custom residences for over 35 years in the Greater Toronto Area. Each residence sits on a three-quarter acre lot or larger and layouts start at 2,580 square feet. 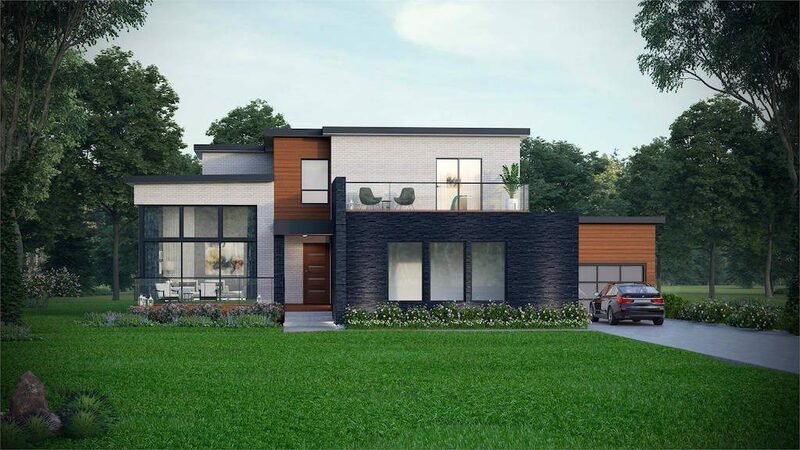 This collection of 28 modern homes is located in Clarington, Ontario, an idyllic community that offers a country lifestyle with easy access to major highways and urban amenities. Eden Park offers six expertly-designed layouts that maximize space and natural light. Ranging from three to four bedrooms, the open-concept homes boast top-of-the-line finishes, features and appliances as standard. Characterized by 10’ smooth ceilings, prefinished engineered hardwood flooring, gas fireplaces, upgraded kitchen cabinetry, style stone countertops, free standing tubs and frameless glass shower enclosures, the residences provide the perfect blend of luxury and functionality. Prices start from $1,188,900. The municipality of Clarington is just 15 a minute drive from downtown Bowmanville, which boasts antique stores, clothing and home decor retailers, tasty restaurants, charming cafes and hip brew pubs. Fifteen minutes east of Clarington is Port Hope, home to museums, historical sites, conservation areas and art galleries. Plus, it’s easy to get to Toronto with the extension of the 407, or by taking the GO train from nearby Oshawa. Register now to snag an invitation to the Eden Park Clarington public launch. You can also schedule an appointment at the sales centre using the online calendar, and a Sales Representatives will get back to you within 24 hours to confirm. For more information, please visit livelarger.ca or call Kass at Blue Elephant Realty at 416 504 6133.